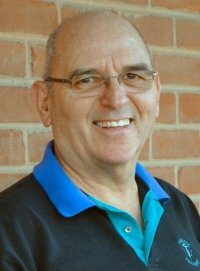 I have been lucky to find Tom as my massage therapist. I was used to going to common massage chains, but was never too happy with their level of service or commitment and personal care toward their customers. The need arose after my first baby, when I was confined to stay at home with my little one, and did not wish to drive down all the way, wait for my therapist to be available, and then drive back home. These were precious hours that I did not want to miss from my baby. I got Tom’s reference through a friend about a year ago. I had my initial inhibitions og getting massage from “just someone”, but Tom was just superb. Tom eased all my concerns with the first stroke of massage that he gave me. I started with Tom when I was just three weeks post-partum and have continued with him since then. My baby is almost ten months old now. Having someone come to your home with all equipment (luxury table, aroma therapy oils, and soothing music) when you don’t have time for yourself, has been a blessing. He is so easy to schedule sessions, his flexibility to work around my availability, and his commitment to the service is simply awesome! The best part about him is his ability to customize the session as per your need. I started with the post-pregnancy massage and then I never had to tell him what I needed. He would just feel how tensed my body was and decide if I needed Swedish or deep tissue or part of both, and then go along from there. Thank you Tom for being so amazing and providing me with your services. Additionally, my mother was also here to help with the baby,. She was sore and tired from running after the little one, and with the multiple chores that come with a newborn, she needed a massage badly. We tried a session with Tom and my mother found it amazing – simply the best massage she had in her lifetime. For the time she was her4e, both me and my mother regularly availed Tom’s services to help us through this tiring phase of life. I recommend Tom to anyone who really needs a good massage. Availing Tom’s services as a massage therapist has been one of the best decisions that I have taken for my massage routine. I have no idea what I would do without Tom now. Thank you so much. The TouchTech Mobile Massage Therapist is an Elite Personal Care Service which uniquely brings luxurious professional pampering into the convenience and privacy of your home, hotel or office. An expert therapist will bring a portable massage table, oils, creams, aromas and meditation/relaxation music. The personal wellness treatment will transform your home, hotel or office into a sanctuary of plush relaxation. A confidential health status form will be filled out at the start of the session in order to best assess your physiological needs. Our commitment is to restore and enhance your body, mind and spirit. With one, non-stressful telephone call or Internet order; a caring and qualified therapist will efficiently take your order, while assessing your needs and prescribing the most suitable massage treatment for your individual needs. Gift Certificates Available for any occasion, holiday or event. Massage Party bookings also available. Talk to us about adding it to your AVON, Mary Kay, or other sales party or Open House. Please ask about other available services and therapies. All cancellations should be made at least 24 hours in advance of the appointment. Canceling in less time may be considered a "no show." Ask about combining other Therapies for the best price. Ask about special Spa Therapies add-on prices. $20 off one-hour massage session for referral of a new client. In many ways a Prenatal or Post-Natal session is similar to any other type of massage. The Massage oil is spread on the client's back and legs. The client is placed in a doctor-recommended, comfortable supported position. and massage on parts of the body that generally cause pain, swelling or discomfort, and the process is repeated on the arms, hands, and fingers, T the neck, head, and face. CHAIR or SEATED massage therapy is as comfortable and beneficial as other forms of massage. The chairs are adjusted to create a relaxing and natural position for each client. The massage is given by a professional massage therapist, lasts from 5 to 15 minutes, uses no oil, and takes place with the client fully clothed. It usually covers the head, neck, shoulders, back, arms and hands and can be adapted to special needs.If there is another Therapy or Treatment that you are interested in, just ask. Note: Post/Perinatal can be started as soon as a couple weeks after a natural birth, c-section might be a little longer. Massage helps in the recovery of muscle tone and improves elasticity of the skin. It can also help return flexibility. Pregnancy Massage A specially designed, softly aromatic and soothing massage for the expectant mother. It offers relief from backaches, edema (swelling of hands & feet) sciatica, abdominal pressure, and fatigue. Most clients report they feel stronger and better prepared for the birthing process from regular massage. * Must be 3 months or longer in pregnancy. Pregnancy massage is the prenatal use of massage therapy to support the physiologic, structural, and emotional well-being of both mother and fetus. Various forms of massage therapy, including Swedish, deep tissue, neuromuscular, movement, and Oriental-based therapies, may be applied throughout pregnancy as well as during labor and the postpartum period. Massage is contraindicated until after the first trimester, due to the danger of miscarriage during that time. But after that, massage can ease pain and provide comfort during those nine long months. In the second trimester, for example, when the baby sits high in the uterus and presses on the organs, massage around the diaphragm helps the mother relax and breath more freely. Light work around the hips and a gentle lifting of the baby can reduce pressure on the bladder, she added. Around six months, when the hips really begin to spread, many women complain of sciatica. Massage during this time can ease some of the constriction of the gluteus and periformis muscles that leads to pain. And as the woman's center of gravity changes and her limbs swell, massage to the low back, legs, arms and hands can be a wonderful relief. Used as a pain management tool in the hospital or at home, the BODY CUSHION affords the client pain free, restful positioning that favors the injury or surgery. Back pain is alleviated simply by lying face-down on the Body Cushion. Side-lying positioning is also possible for a comfortable prenatal massage. Treatment effectiveness is enhanced by the ability of the patient to achieve theta, the brainwave state. Research has indicated that healing is rapidly accelerated in theta. "I had a birthday/massage party and I found Tom on the internet when I was searching for a massage tech. The prices were great! Tom came fully prepared with the total setup. The massage was out of this world. Totally relaxing. At the time I was about 5 months pregnant so my body was in need a good massage. All of the girls just loved the service. Thanks Tom for giving me a great massage. I look forward to using your services again, and again!" Massage. It's amazing how one word summarizes what it means to pamper yourself. Luckily, massage is inching from the category of self-indulgence to that of good health practice. Several studies released within the past few years suggest that the benefits of massage transcend age and ailment, resulting in a variety of positive effects. For example, studies conducted by Miami's Touch Research Institute show that massage benefits everyone from newborns to senior citizens. Benefits include aiding weight gain in preterm infants, reducing stress hormones and pain, alleviating symptoms associated with depression and improving the immune function.But that's just the tip of the iceberg. Massage also reduces the heart rate, lowers blood pressure, increases circulation, relaxes muscles and increases mobility. 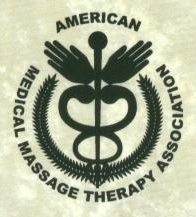 It also has been shown to help people with specific problems such as allergies, carpal tunnel syndrome or digestive disorders.The basic description of Massage Therapy, according to the American Massage Therapy Association (AMTA), is the manipulation of soft tissue structure to promote health and wellness, prevent and alleviate pain and stress. * Swedish massage, a gentle and relaxing type of massage. * Seated massage, performed while you sit in a specially designed chair, often in a business setting. * Pressure point therapy, used to treat certain injuries. * Sports massage, focused on a group of muscles used in a particular sport or activity. It is important to know that your massage therapist is a trained professional who, like their peers in other health professions, must adhere to a code of ethics. In fact, your first appointment is likely to begin with a conversation to determine why you want a massage and how you see the treatment helping, and to determine your general health and stress levels.You can learn more about what to expect from a massage and find a trained massage therapist in your area by visiting www.abmp.com, the web site for the Associated Bodywork and Massage Professionals (ABMP). Massage Angels - A comprehensive massage directory and other resources. While the strokes are similar, the philosophy and intent are quite different. Swedish massage was developed as part of gymnastics. Swedish seeks to affect specific muscles, joints and organ and relieve pain and increase mobility. Eclectic techniques do this but also seek to help the person live more comfortably in his or her own body and integrate body, mind and spirit into a more harmonious whole person.The strokes and manipulations of Swedish massage are for a specific therapeutic benefit. Eclectic massage is set apart as a unique style because it also brings together many different techniques and reflects an attitude about touching, caring, energy awareness and emotional, spiritual healing besides just physical manipulation. Part of the attitude is that touching is a basic need, as essential as air, food or water: that caring about others is natural; that getting in touch with one's own body leads to a more effective way of loving and relating to others, and that healing comes from within as well as from the outside. Emotional Relating- An act of physical caring expressing trust, empathy and respect.- Unique way of communicating inner love and God's Spirit even to a stranger, without words, beyond touching and hugging.- Nurturing touch makes people more whole, more fully ourselves and each person's hands have the power to give this joy to another.